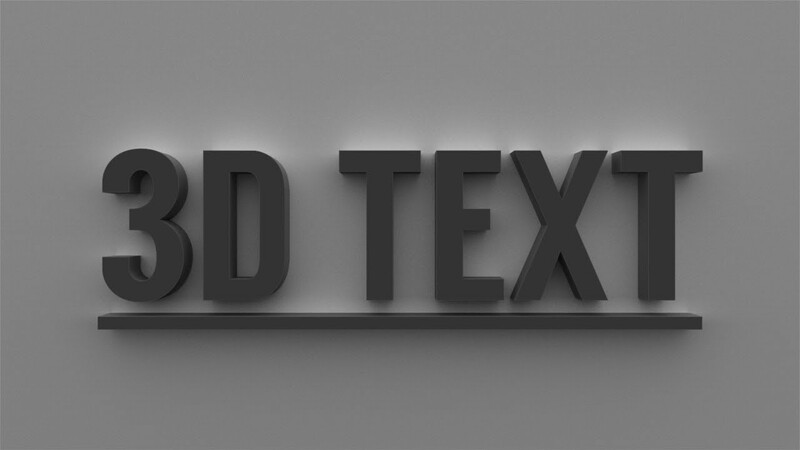 This tutorial will show you the process of creating stunning 3D Text Effect in Photoshop. Start working with a new window which size will be 400 x 400 pixels. Then set blending option and gradient overlay where blend mode at normal, opacity 100, style radial, angle 90, scale 124. Then set gradient parameters in where gradient type solid, smoothness 100, and use custom shape tool. Too many shapes are there. But I choose the registration target 2.In here set layers opacity 70% and fill it 0%. Go to blending option to gradient overlay blend mode at normal, opacity 100%, style radial, angle 163, and scale 23%. Also set in gradient parameters gradient type solid, smoothness 100%. At this instant create a new layer and select a standard brush with black color with the opacity 10% for making dark pictures. It’s the time to write something on this, I wrote ST, with the 255, 47 pt font, color yellow and sharp mode. Select free transform through pressing Ctrl+T, and skew both letters. Pressing several time the cursor through hold down Ctrl+Alt button. Merge the multiplied layers without the top one. Set next parameter for last one and go to blending options gradient overlay. In gradient overlay change blend mode to normal, opacity 100%, style linear, angle 0, and scale 100%. Set gradient parameter’s gradient type solid, smoothness 100. Into blending options go to stroke, structure then set size 2, position inside and blend mode normal, opacity 100%, fill type color. On same layer we will use dodge tool. Again set gradient parameter, blending option and stroke. In this step we will choose line tool through pressing U for the vertical white colors. If you want you can choose another color, or another style. I would like to make this tutorial as given above. Hopefully get the idea about to making a celestial design through Photoshop or illustrator.